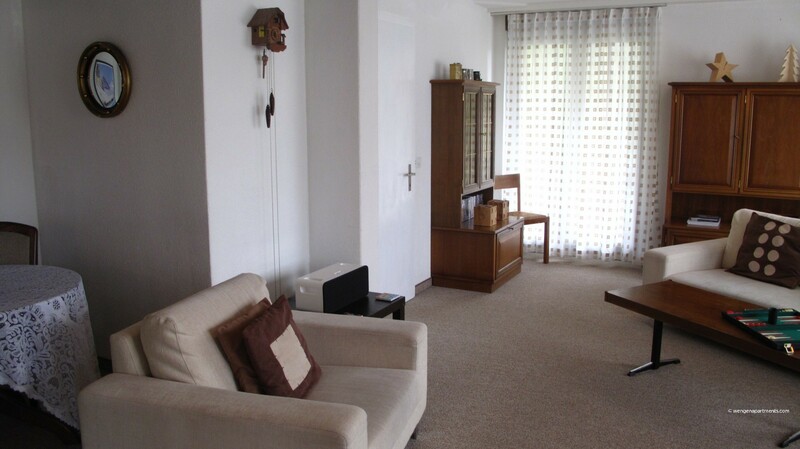 Apartment Belvedere is a large 4 bedroom apartment all on one level. 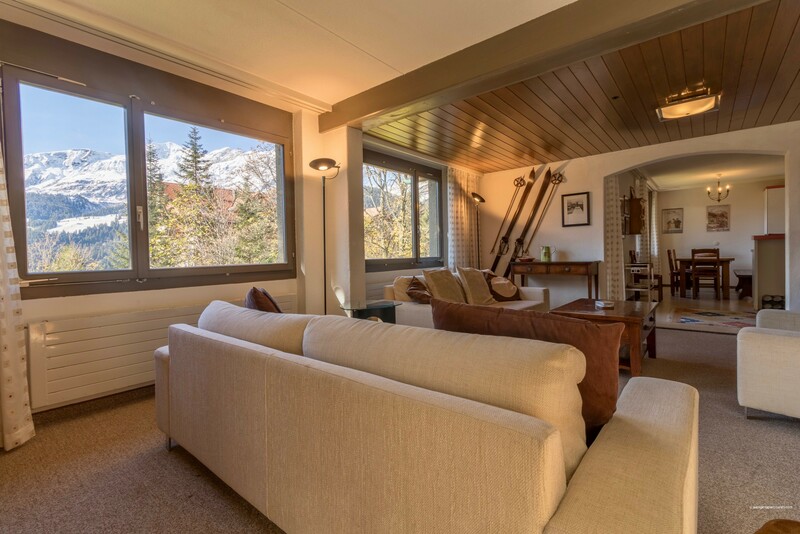 Located in the heart of the family-friendly “car-free” village of Wengen, just a 350m level walk to the nearest supermarket and village centre, 500m to the village train station and 400m to the cable car, access to the mountain hiking trails and ski areas is literally on your doorstep! 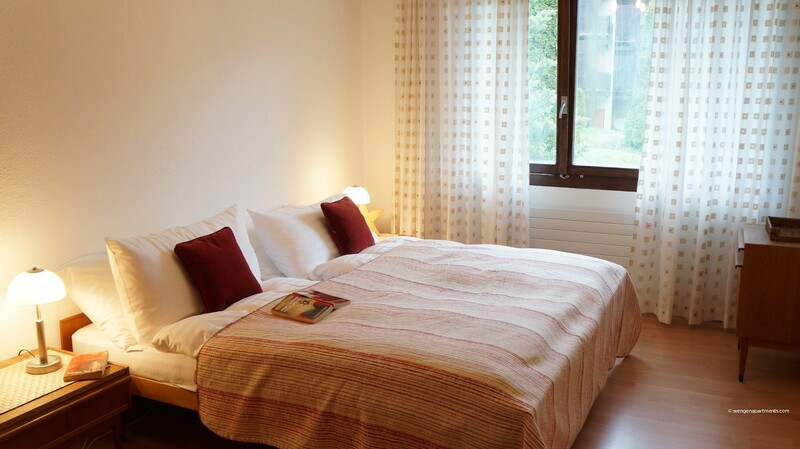 This generously sized apartment sleeps up to 11 people in the 4 spacious bedrooms. 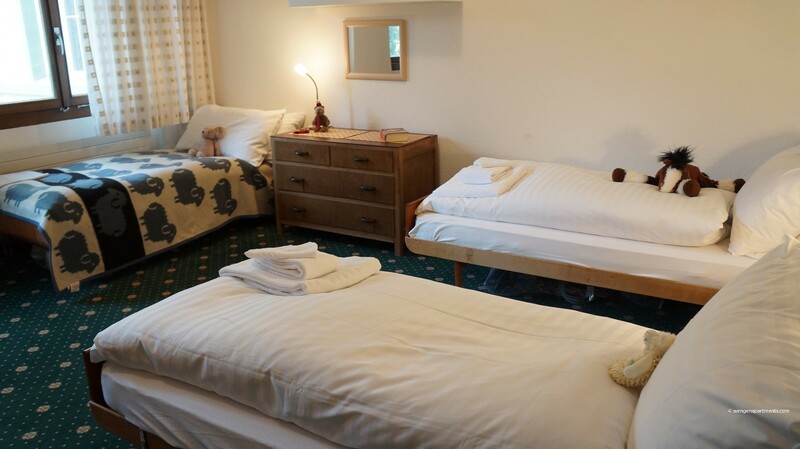 There are 2 double bedrooms, one with a king sized bed and one with twin beds which can be pushed together or apart. 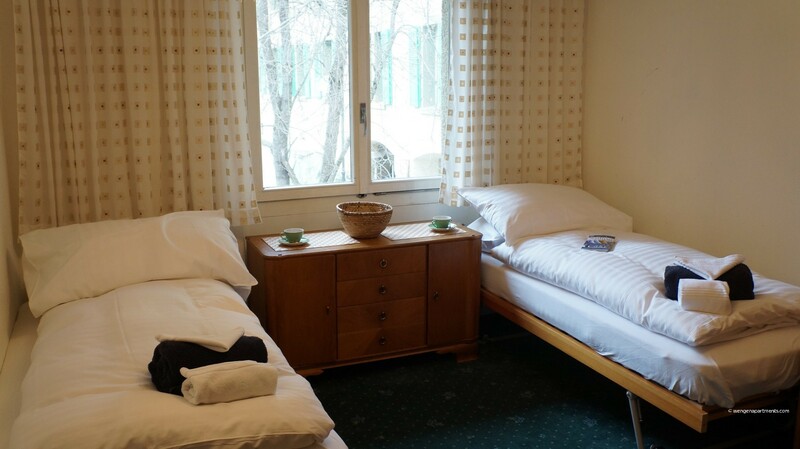 A 3rd bedroom has 3 single beds and the 4th bedroom has 2 single beds and a bunk bed. 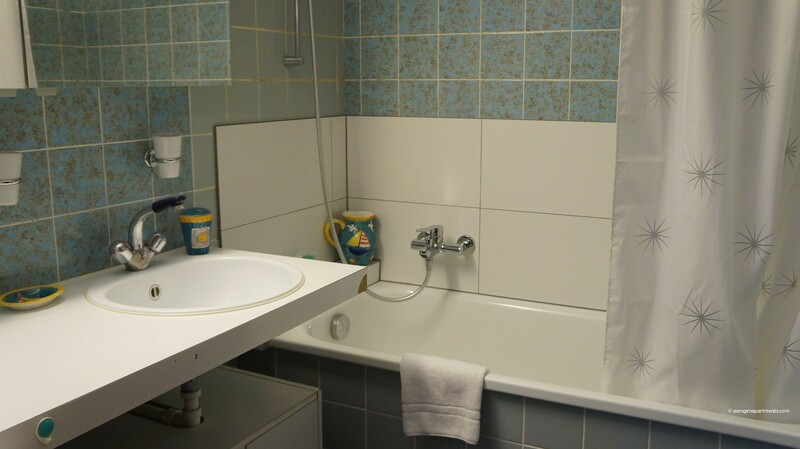 There are 2 bathrooms, both with a bath and shower and 2 separate toilets. 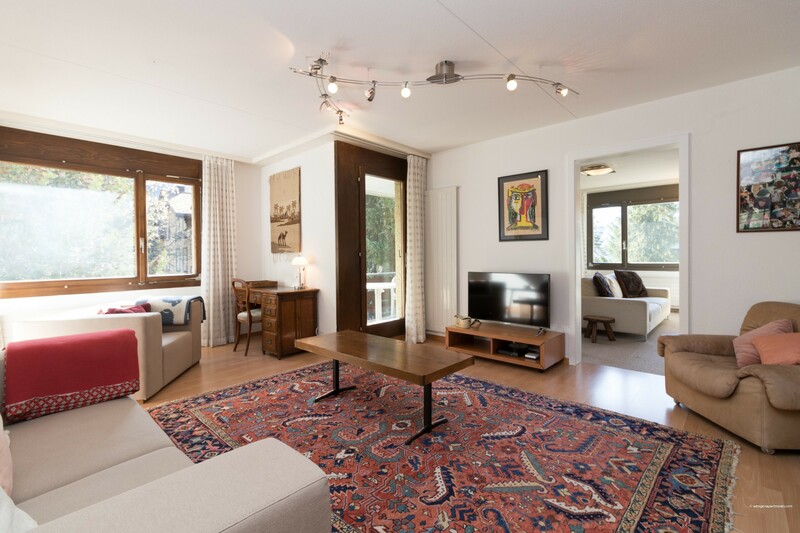 Staying at Apartment Belvedere is like staying at your auntie’s house but better – comfortable and cosy, but you have it all to yourselves! 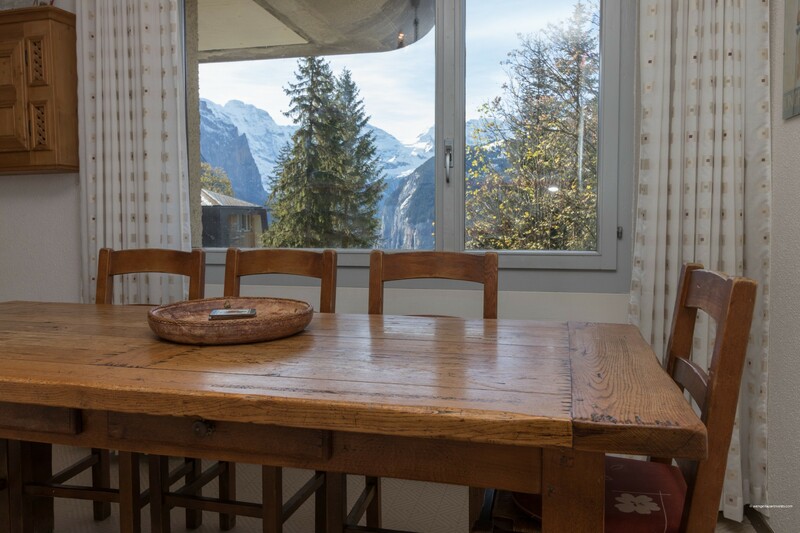 This charming apartment is nicely located near the centre of town, yet not on the busy high street, providing easy access to all activities in Wengen. 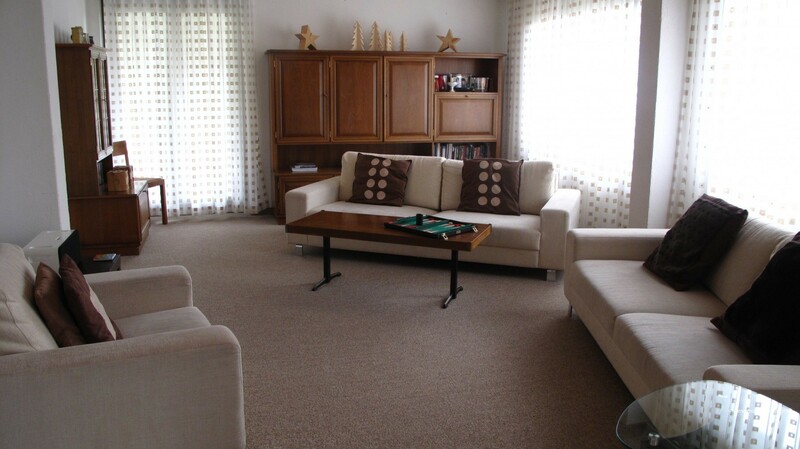 It is spacious and child-friendly, with a TV / games room and stacks of DVDs, books and games to keep the younger ones entertained. 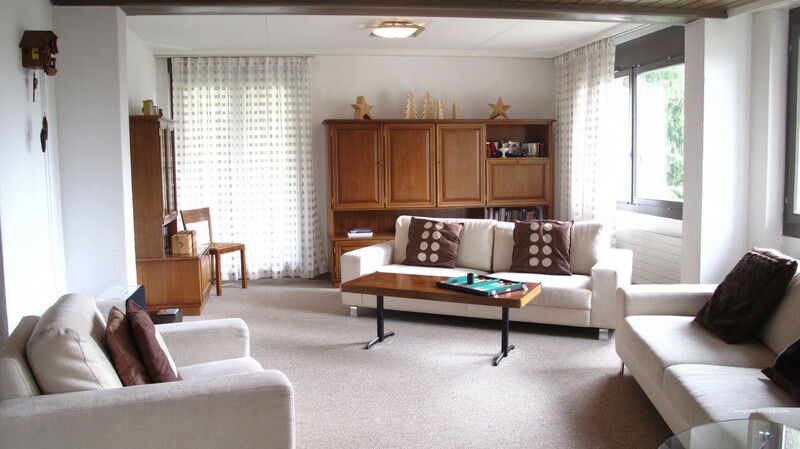 A separate living / dining room for the adults is a wonderful bonus. 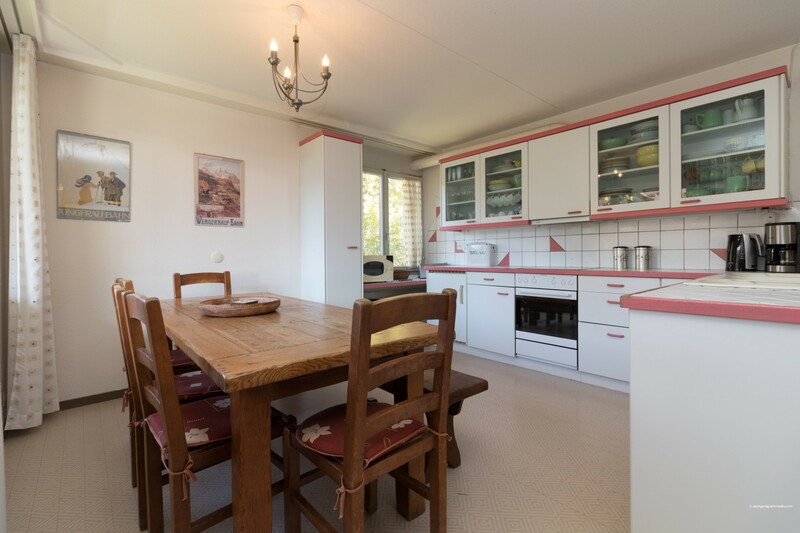 And the cheerful, eat-in kitchen is equipped with all you need to cook for a large group of family or friends and enjoy authentic Swiss favourites like cheese fondue and raclette. 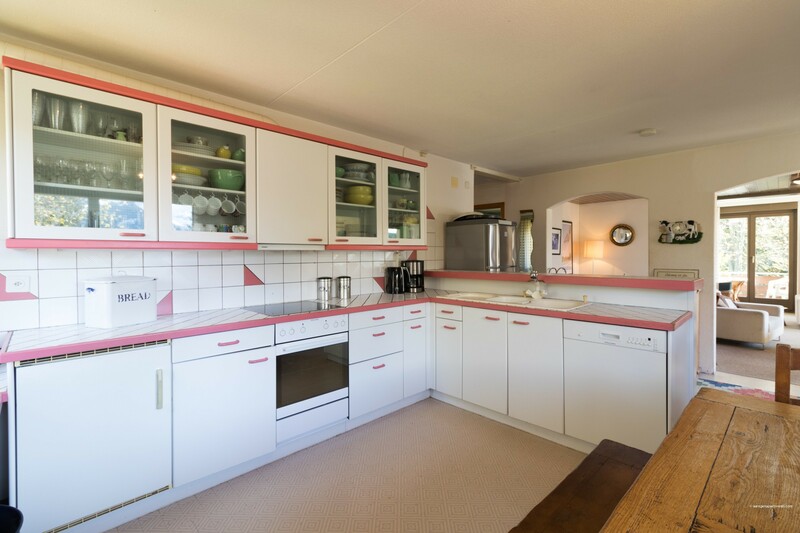 Self-catering is easy with a well equipped kitchen and you can have food delivered to your door from the village shop. Very convenient! 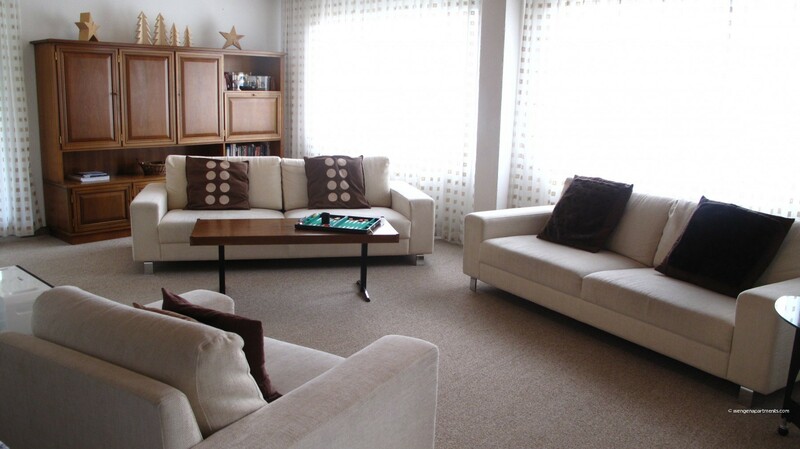 With four spacious bedrooms and two bathrooms, this apartment is perfect for two families or a large group to share. 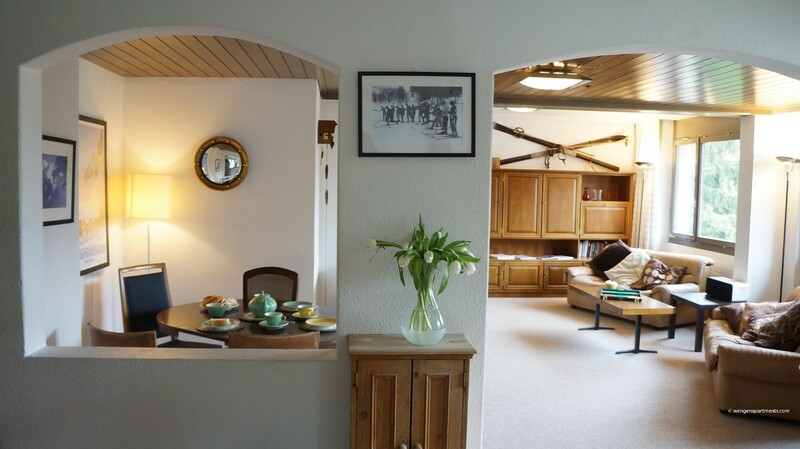 In winter or summer, Apartment Belvedere is an informal and relaxed space to enjoy good times and create fond memories of your holiday in Wengen! 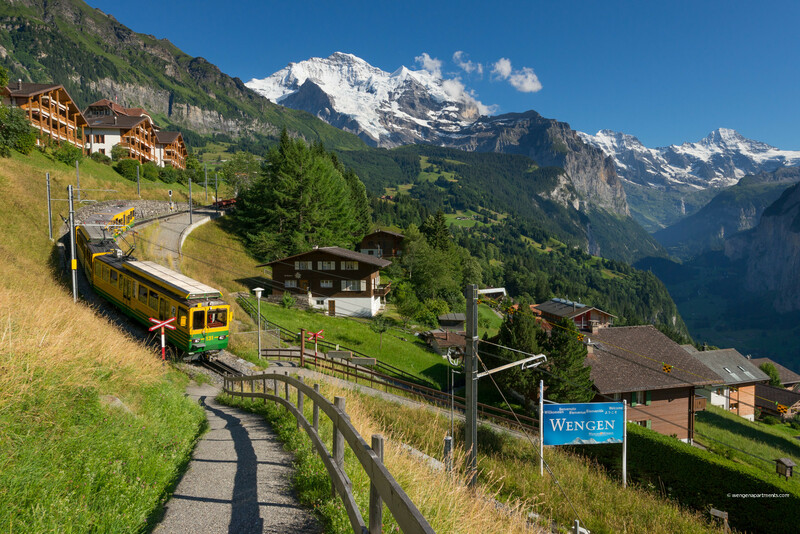 PLEASE NOTE: Wengen is a “car-free” mountain village with no road access! However, arriving by car is still easy. 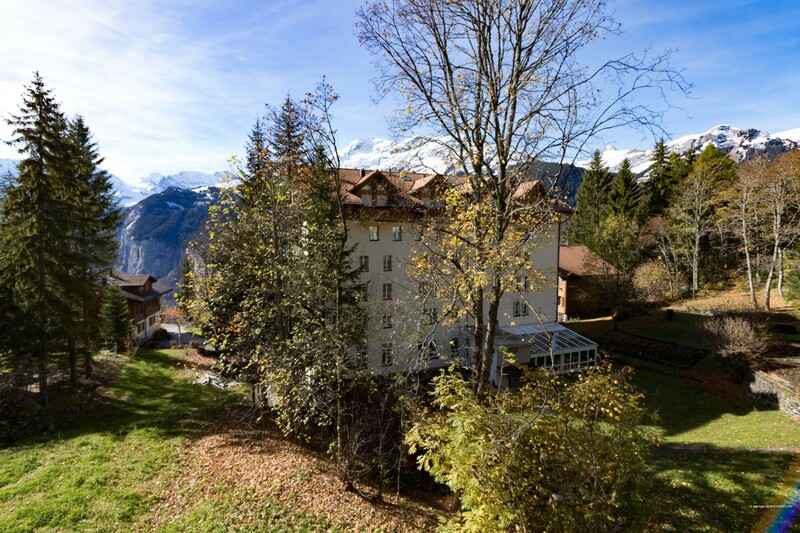 Simply park at the train station in Lauterbrunnen and take the 15 minute train ride up to Wengen. Trains run every 30 minutes until 8.30pm and then hourly. Taxis are available in Wengen to assist you to your chalet if required. 1 King size bed, 7 Single beds, 1 Sofa bed, 1 Bunk bed. 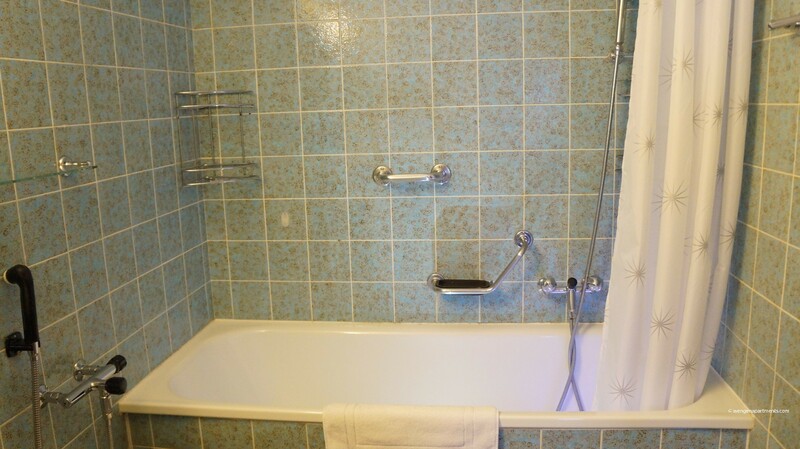 1 TV, TV Satellite (Languages: English, German, French), DVD, 3rd floor, garden furniture, iron, internet (Wi-Fi), hair dryer, balcony, 200 m² property, 200 m² plot, central heating.